AMD’s Ryzen delivered true competition to the CPU market and the news was great for consumers with the only group having anything to worry about probably being Intel. 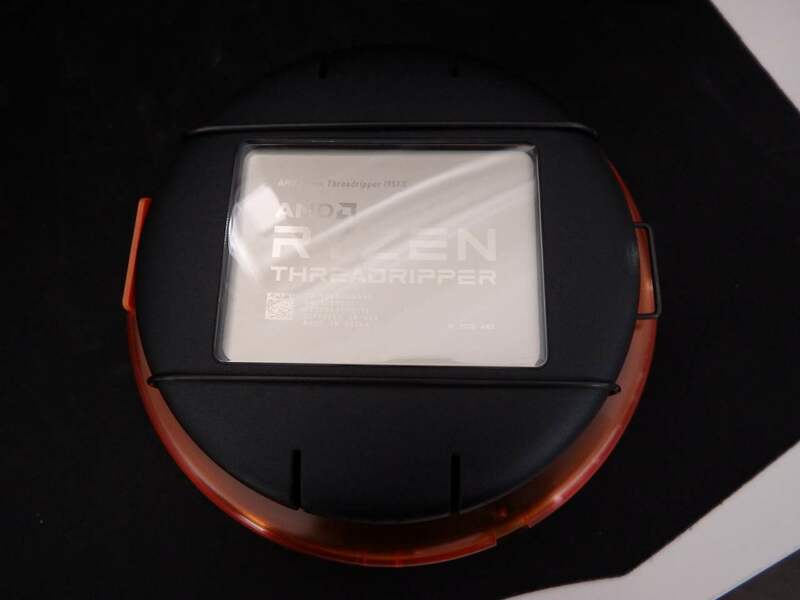 Then AMD announced “Threadripper” for those who want even more. 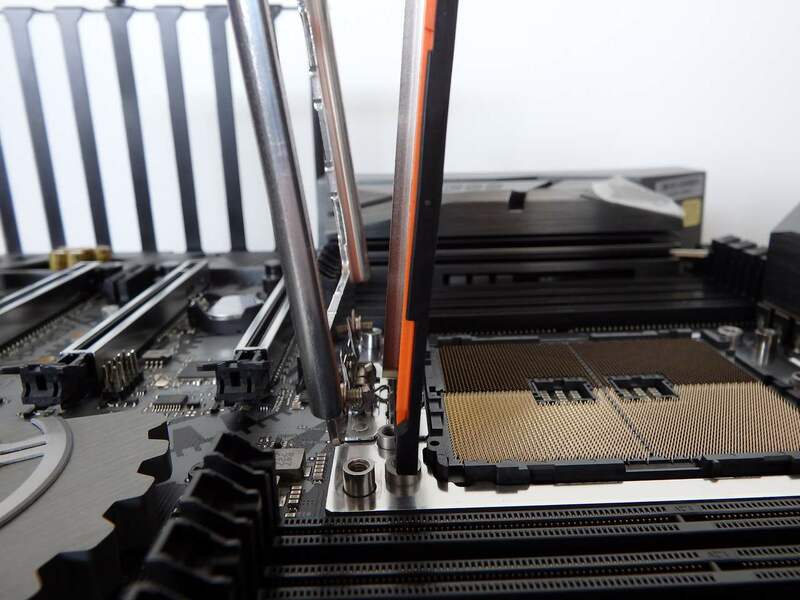 The 1950X has 16 cores/32 threads, 40MB of cache, clocks from 3.4-4.0GHz with a little extra if your cooling is ok and has 64 PCIE lines which all delivers some serious potential for developers, streamers, and creative content producers. Quad channel DDR4 with ECC support is also a fresh addition to the new Ryzen family. These ‘pro-sumers’ likely work in R&D, Media creation, application/game development and possibly the most demanding and obsessive of PC Gamers who stream. After our testing, Threadripper would appear to be of limited value to people who ‘just’ game but we will get to that with some benchmarks. Where multiple workstations have been needed in the past for different purposes (eg. simultaneous work and play or development and testing) one workstation with Threadripper at it’s core may now suffice. This is an important element for small studios on a budget or with limited space but possibly even more relevant to people who create from home. 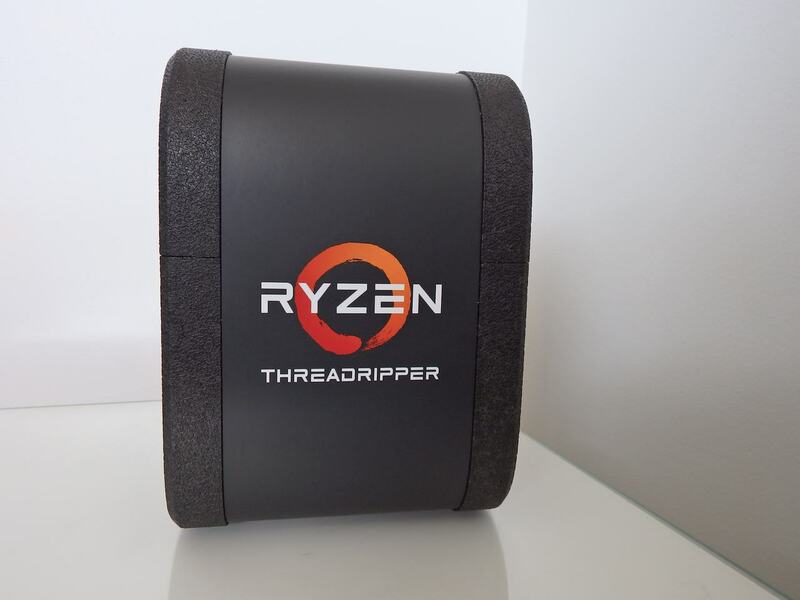 Essentially, Threadripper users can do more ‘Doing’ and less ‘Waiting’ whilst having a smaller hardware footprint in less physical PCs. This package of massive cores and uber threads is not unique to AMD; Intel also have alternative products. The key differences are that AMD’s offering comes at a cheaper outlay and allows for more PCIE lanes. AMD is also happy to provide all functionality with each Threadripper CPU and doesn’t restrict overclocking for enthusiasts. There has been negative press about the restrictions placed on competing massively threaded CPUs but AMD seems to be saying to the market “Here it is, we don’t want to hold you back, now go do something great with it.” As with Ryzen 3,5 & 7 overclocking and all architectural features are unlocked/available at a CPU level without restriction. 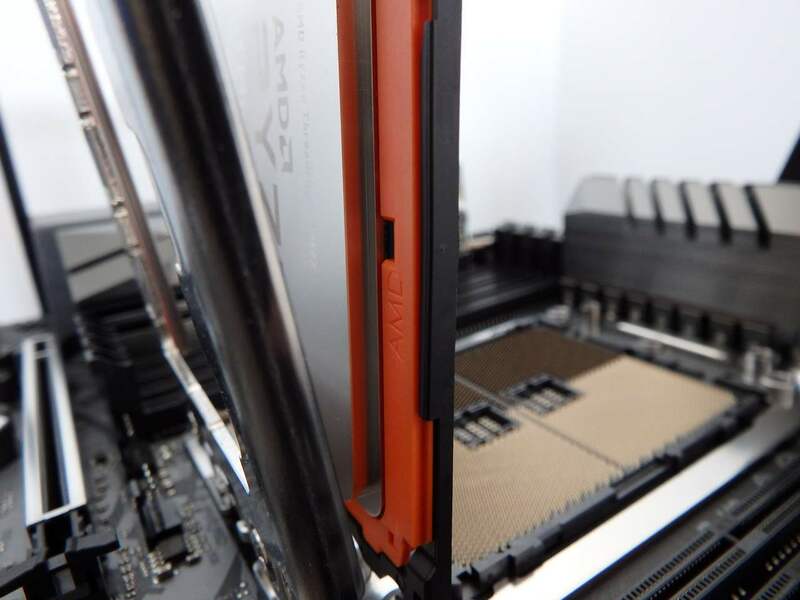 Although there are limitations with the chipsets, they come in when you start looking at the budget or business range or on ITX motherboards where only 1 PCIEx16 slot is available anyway – so the restrictions make sense. 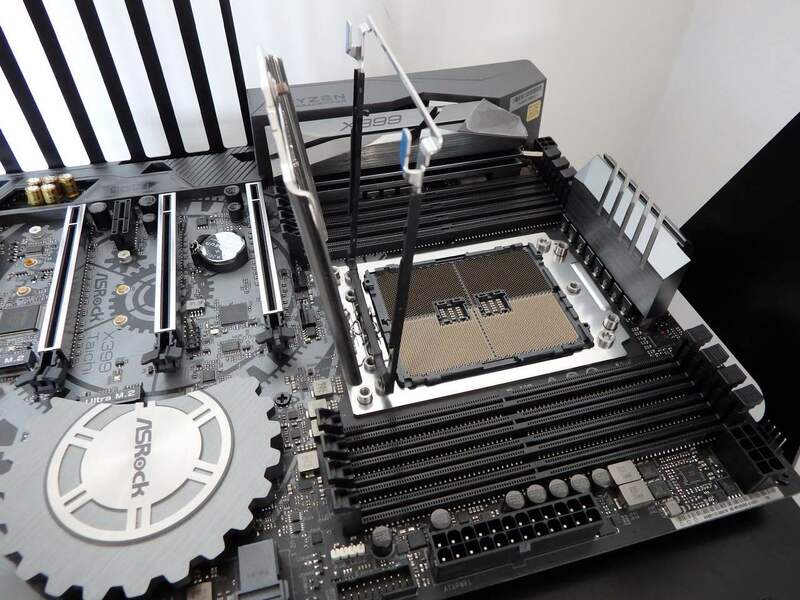 Threadripper and the X399 seem to be unlimited and motherboard manufacturers have made the most of it. 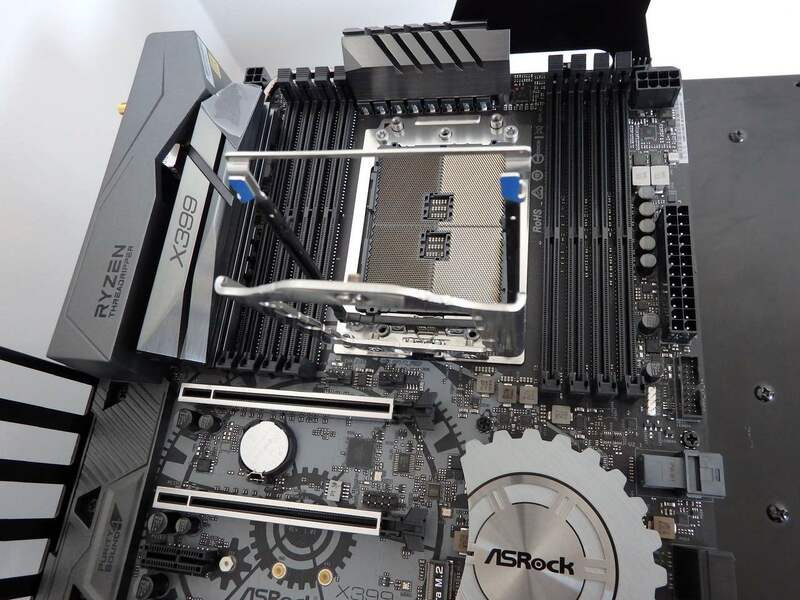 The ASROCK X399 Taichi motherboard is at the more affordable end of the scale but has everything I could want as a creator, gamer or super-enthusiast. We simultaneously ran Crystal Disk Mark on 3 ADATA M.2 NVMe devices and a SATA 3 SSD (that’s 4 SSDs concurrently) whilst running a Unigine Heaven benchmark on our GTX 980 and the final results were within margin for error of each test when run in isolation. It was an unrealistic set of benchmarks but is a good indicator that the ASROCK X399 Taichi and Threadripper can handle a peak workload. Memory compatibility on launch was also better than Ryzen 7 with our HyperX Predator 3333 kit working at it’s rated 3333MHz XMP profile without any dramas at all in the ASROCK X399 Taichi motherboard with our 1950X Threadripper. ECC memory is also supported which is good to see and should be expected at this level. 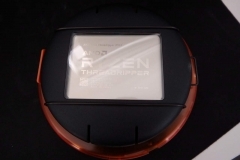 AMD’s Ryzen CPU series has something for everyone so remember that Threadripper isn’t for everyone..
With Threadripper out, AMD also released a new parallel chipset with the TR4 socket and X399 chipset for the extreme end of the market. X399 makes use of the extra capability of the Threadripper CPUs and completely does away with the possibility for onboard video. AMD has now released a full suite of new architecture and something for everyone no matter what their needs might be. Don’t feel bad if you can’t afford or justify one of these and your focus is gaming or even enthusiast level tinkering/rendering/transcoding – any Ryzen 7 or perhaps even a Ryzen 5 1600X is almost certain to have you covered. The gaming performance of today’s titles based on our tests doesn’t need Threadripper and is still much more dependent on your selection of graphics card. In fact there are a couple of quirks with AMD’s Threadripper that make it less game-friendly than the Ryzen 5 and Ryzen 7 series of CPUs, namely memory management and the fact that 32 threads can be too much for some gaming titles to handle. 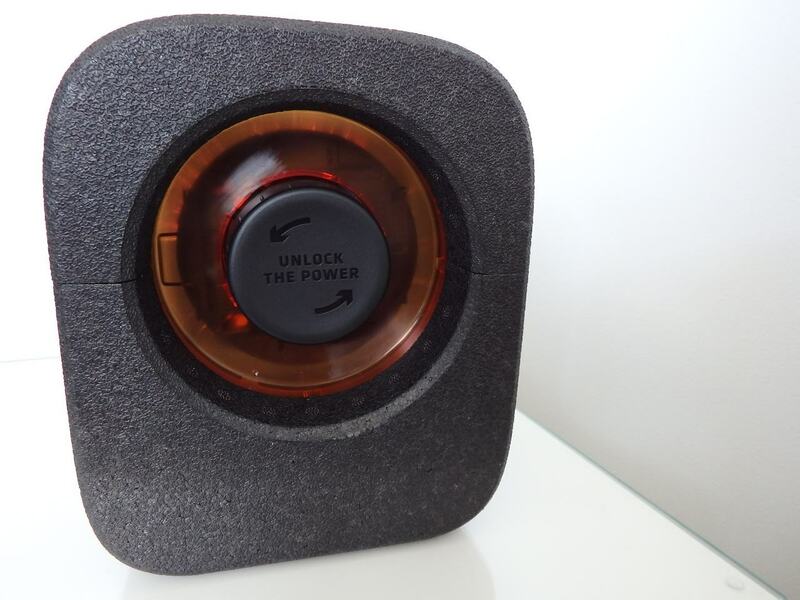 Threadripper is overkill for all but the most demanding power users or streamers. 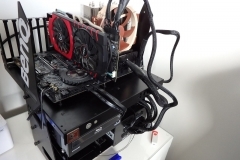 Another use case is people who set up a rendering or transcoding workload then want to play a game or work on something else while it runs – this is the heart of the single PC that replaces the two PCs a person with that need currently has. 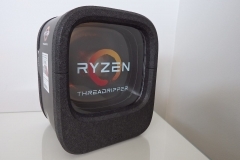 Ryzen Threadripper – Same as Ryzen 7, but double? Almost. 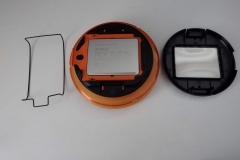 Essentially it is Ryzen on steroids but there are other improvements such as memory compatibility and performance along with platform maturity that comes on the back of Ryzen 7, 5 and 3 releases. Each Ryzen CPU Complex (CCX) contains 4 cores/8 threads and is scalable in that more than one CCX can be implemented in a ‘Zen’-based product. The Ryzen 7 processors use 2 CCX with all cores enabled, Ryzen 5 CPUs also have 2 CCX but have 1 or 2 cores disabled in each CCX, depending on the model. Threadripper CPUs take this to the next level with 4 fully enabled CCX modules in the implementation. 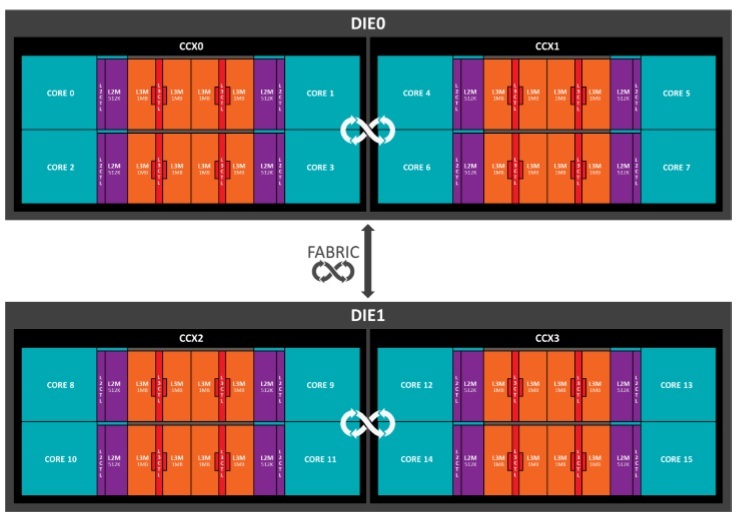 Using their patented ‘Infitity Fabric’, AMD has paired 4 specifically binned (or selected) CCX across 2 Dies – together on the same Threadripper CPU. Each Die has 2 memory channels attached which provides a total of 4 memory channels overall. The Quad Channel DDR4 support can be configured to run in Distributed Mode or Local mode via the Ryzen Master utility or BIOS. The default mode is Distributed as the Uniform Memory Access configuration is generally the better performer for Creative and Productivity applications. Whilst 16 physical cores with 32 threads can be life changing for mega-tasking and faster rendering/transcoding, when it comes to gaming this doesn’t always hold true. Ever heard the saying “Too much of a good thing”? Much like the quirk where funky wide-screen gaming monitors hit the shelves and 4K displays were starting to emerge leading to some of our games staring to look really weird, not all games (or applications) play nice with 32 threads available. 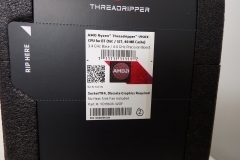 AMD anticipated this and the Ryzen Master application allows for the disabling of threads manually in pairs but with the Threadripper edition of the software, the gaming pre-set will disable an entire Die (8 physical cores), making it effectively a Ryzen 7 CPU with more PCIE lanes and DDR4 slots. This mode also drops the memory to dual channel mode as there is no second Die to run quad channel. 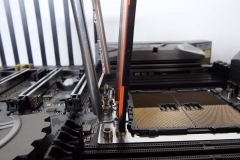 Essentially the different modes adjust the cores available and the Memory Access Mode of the CPU being either Distributed Mode (default, Creator Mode Ryzen Master Pre-set) or Local Mode (Gaming Mode Ryzen Master Pre-set) to be more appropriate for the task. In the Threadripper Edition of Ryzen Master it should be noted that a reboot is required each time to switch modes. Developers create their games using different technology which will benefit or be impacted by several factors in a system. 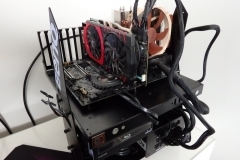 Some titles are heavily reliant on the CPU, but most place a high load on the graphics card – this balance can shift as the resolution changes and the bottleneck moves. Other factors are latency at a CPU or memory level, number of cores available and the speed of the cores. A good example of this is the title ‘Fallout 4’ where we had some stuttering game-play in ‘Creator’ mode with all cores enabled and Quad Channel DDR4 but a much better experience with the memory running in Dual Channel and only 8 cores active. The game just didn’t seem to know how to handle so many threads. All PCIe lanes are still available in both creation and game modes so by disabling one CPU Die and switching to the Local Memory Access Mode, multi-gpu use and mass storage is still possible. Threadripper has some serious processing power and the lanes to both feed it and handle it’s output. 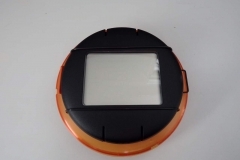 Great for graphics cards, storage devices or interface cards such as 10Gb or fibre. 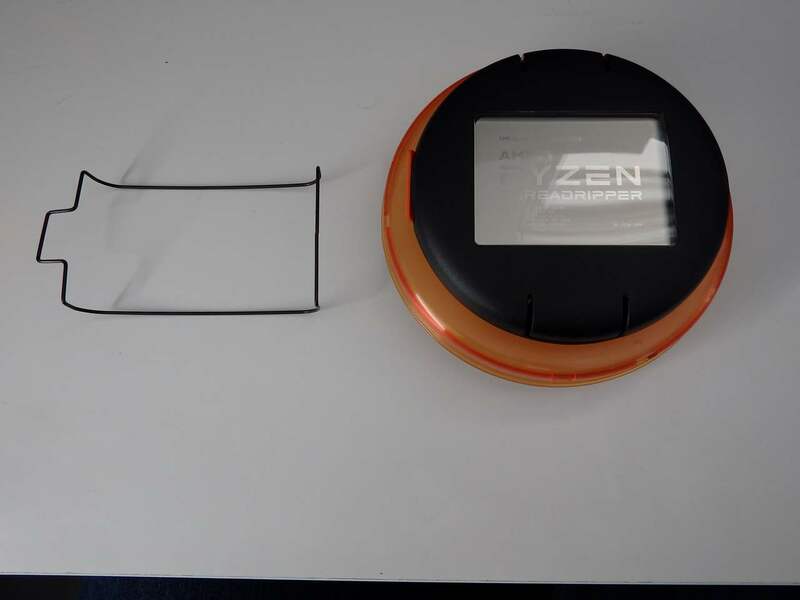 Like the rest of the Ryzen line-up, Threadripper also has Simultaneous Multi-Threading (two threads per physical core) with some intelligent cache and prefetch instructions. Smart Prefetch is achieved with learning algorithms that can identify the data used by applications and then manage access to that data by preloading it.. 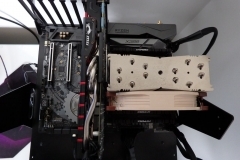 The CPU mounting system is different but easy. 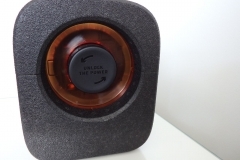 Gone are the side levers we are so accustomed to seeing on both AMD and Intel sockets and the new TR4 socket is something very different. The video below from Paul’s Hardware is one of the best explanations I’ve seen. 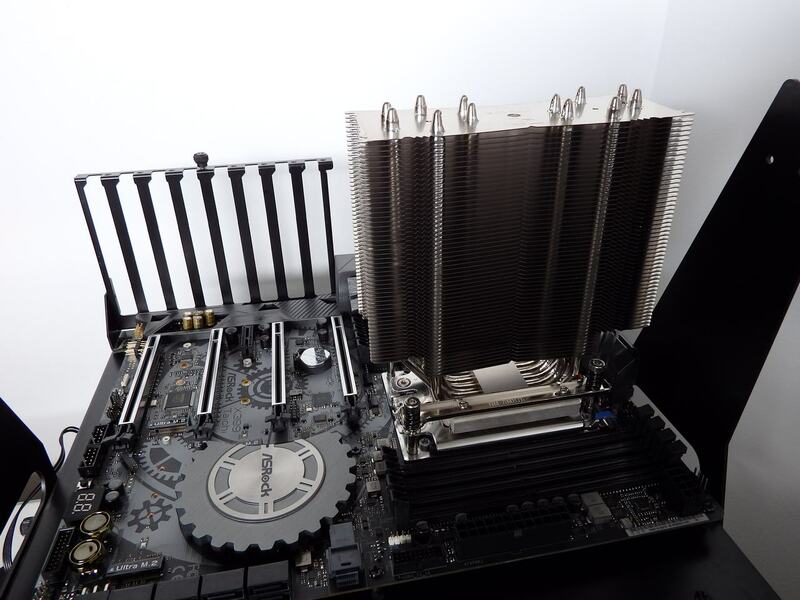 CPU cooler mounting is a dream, just like the Intel 2011 setup with the built in mounting backplate. 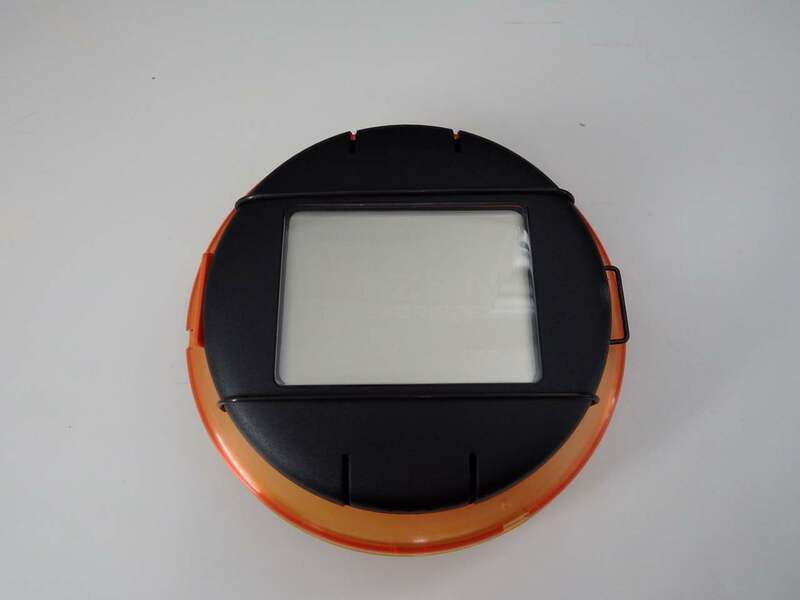 The comparison test system specifications can be found in detail at this link here. All systems had Windows 10 operating in ‘High Performance’ mode under the Power Settings. 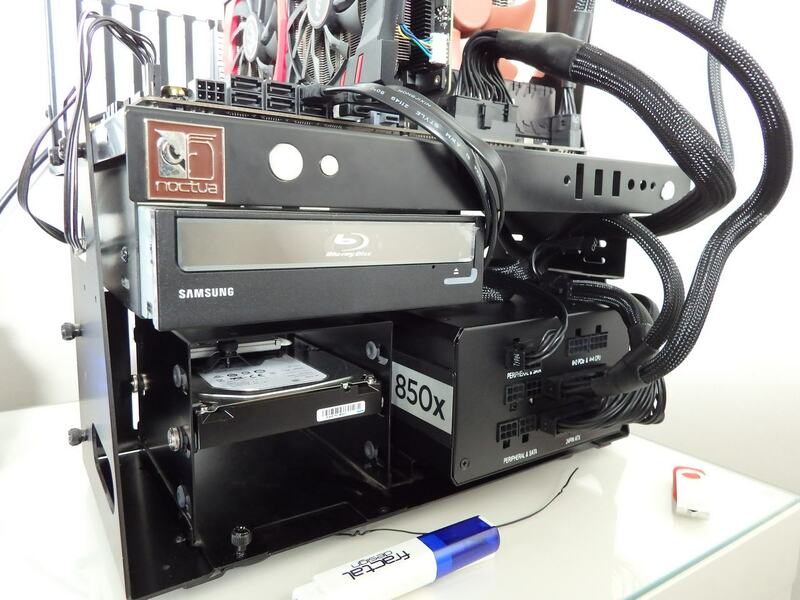 We ran the tests with our GTX 980 card as it is the single fastest card that is always available in the lab. Threadripper is a beast and at the time of testing, the 1950X sits at the top of the tree with 16 cores / 32 threads. 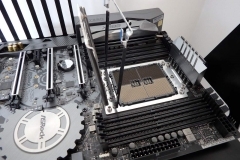 The testing platform consists of the ASROCK X399 Taichi motherboard which was much anticipated on the forums prior to and immediately following launch. 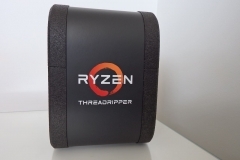 Note that for the purposes of comparison, consider the Threadripper 1950X a tier well above the AMD Ryzen 7 1700 or Intel i7-5930K and then consider the Ryzen 5 processors relative to the Intel i5-6600K. 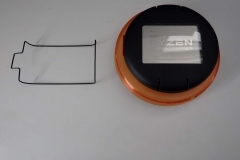 This represents the Ultimate Enthusiast CPU from AMD and can also be used for gaming with both Creation mode where both CPU Dies are in operation and Game mode where one Die is disabled and memory access is adjusted as previously covered in the architecture overview. Cinebench is a good way to test both single and multi-core performance. In single core performance the Intel CPUs perform better than Ryzen competitors but the Intel CPUs fall behind in the multi-threaded test. Cinebench performance was amazing to watch in multi-core benchmarking as it smashed the test like we have never seen before. In single core testing, the performance was as expected and in line with our other Ryzen testing. PCMARK 8 Creative testing was interesting and the numbers below show how the 6C/12T Ryzen 1600X takes the points over all other CPUs tested, but you’ll notice one omission. The 1950X would not successfully complete the benchmark in Creation mode with all cores enabled. When cut down to 8 cores and dual channel memory in Game mode, the Ryzen 5 1600X managed to narrowly beat it. If we get the opportunity to run this successfully later, we will update the review. SuperPI is a single threaded benchmark that puts the CPUs into a single core, single thread foot race. The Intel CPUs take the points here as expected and although you’re not buying a Threadripper for single core performance, there was about 2 minutes of difference in the benchmark. This test is a new one for us, designed to show how quickly a CPU can encrypt data. The free Veracrypt application has a benchmark utility that you can run on your own CPU for comparison purposes. The results above scale well for the Ryzen based CPUs and also make the older Intel i7-5930K look pretty competitive at a thread-for-thread comparison being 6C/12T vs 8C/16T (Ryzen 1700 / Threadripper in Game Mode) and the 16C/32T Threadripper 1950X in Creation mode. The following graph shows the time taken when using Handbrake to convert the same 4.3GB MKV file to an MP4. 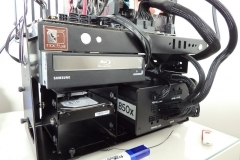 All platforms had either the same or an identical spec source/destination SSD model installed; the Threadripper, i7 and Ryzen 7 test systems had 32GB of RAM; the i5 and Ryzen 5 were running with 16GB RAM; all CPUs were running at stock settings (no overclock present) and had the same version of Handbrake on the same patch level of Windows 10. This was as close to apples and apples as we could get. 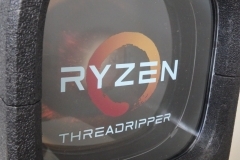 Threadripper shows how appropriate it’s name is as it just overwhelms the other CPUs with more threads to transcode the project in a significantly shorter period of time. The Unigine Heaven benchmark scores showed the Intel i7-5930K ahead by about 1% and the overall spread shows that the graphics card is the limiting factor. We would consider these results to be within margin for error as a dead heat but they do confirm that there were no constraints or limitations of any consequence placed on the GTX 980 by the 1950X or the X399 chipset. This test is for 4K ready systems. The graph is ordered by the physics score as it represents the CPU difference given all test systems used the same GTX980. We see the 1950X maintaining the consistent overall score due to the heavy reliance on the GPU but in terms of physics performance, it leads the way … and it’s not close. Firestrike Extreme showed a similar picture to Firestrike Ultra with the 1950X taking the points – even in Game mode. Again, no real surprises in the Firestrike benchmark with the trend continuing. 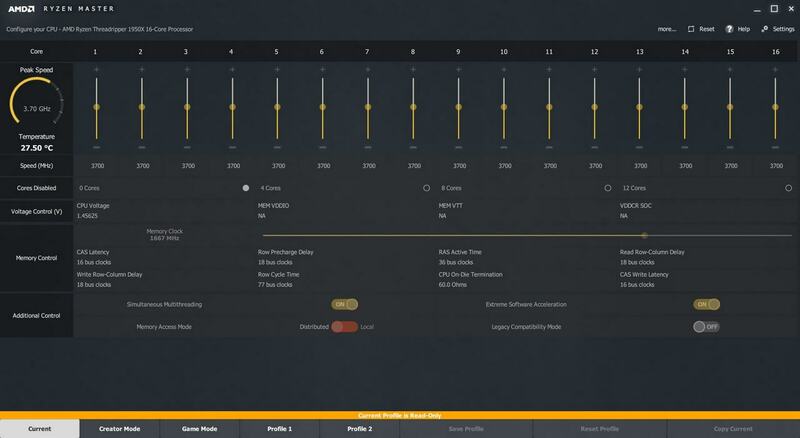 What this shows is that overall Firestrike scores are relatively even at a system level but the 1950X has much more compute headroom than the other CPUs to handle multi tasking while gaming. 3DMark’s Time Spy DX12 benchmark is the best indicator we have for DX12 and future titles. The 1950X overall score received a larger bump than the Firestrike overall scores in Creative mode when compared to the rest of the field. DX12 can take advantage of a beefier CPU and this is the first indicator. Tomb Raider is an older DX11 benchmark and we were anticipating the GTX 980 to bottleneck the scores. All scores were within what we would consider margin for error of each. 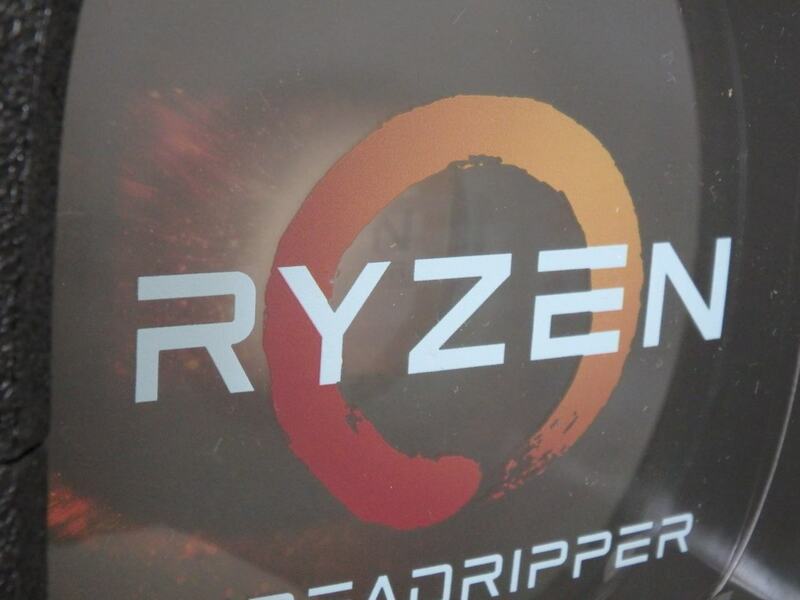 The DX12 performance at 2560×1440 on maximum settings showed us that Threadripper does give a bonus with this DX12 title – even in Game mode with the same number of cores as the Ryzen 1700. Although there is a gap of about 3FPS on average between the 1950X and our Ryzen 5 CPUs, this is a another good example of why you don’t need a behemoth of a CPU like Threadripper for gaming and would be better to invest in a GPU. That said, the CPU utilisation was low and despite the 1950X having twice as many cores available in Creative mode, The Division didn’t use them – making these cores/threads available to handle other jobs in the background while you pass the time gaming. The benchmark average FPS has this as a close race and in general gameplay with an hour of testing on each platform, the only noticeable difference was the occasional stutter of the legacy FX8350. 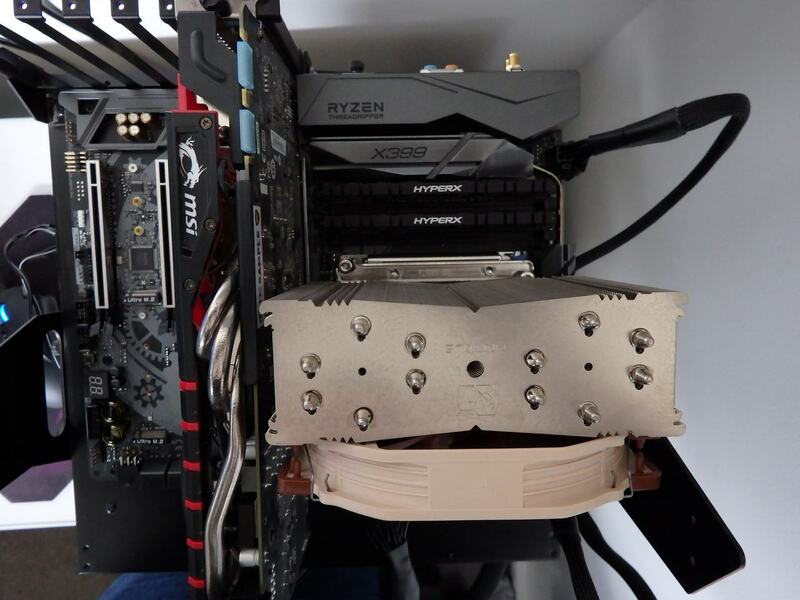 As with previous reviews, I was unable to detect any noticeable difference between the Intel or Ryzen CPUs when playing GTA V.
The Noctua NH-U14S TR4-SP3 is purpose built for Threadripper and not a conversion from another socket. 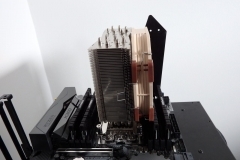 Whilst we also tested the NH-U12S and NH-U9 Threadripper coolers from Noctua, for the purpose of this review, we used the biggest NH-U14S TR4-SP3 cooler. The CPU plate on the U14S TR4-SP3 is larger than any other Noctua cooler we’ve used and the performance is excellent. 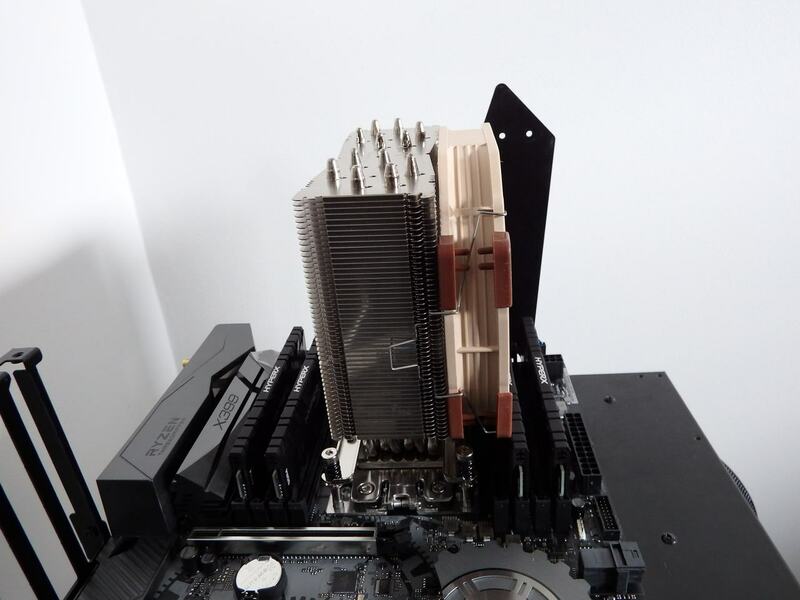 The fan stayed generally inaudible on the open test bench and thermally the cooler did a great job of removing the heat from the dual Die Threadripper. It was a little unsettling applying the thermal paste as per the Noctua instructions – the 1950X is a large CPU so it makes sense that you need more thermal compound but when you’re used to applying a single rice grain to a CPU, an instruction like the image below seems nuts. But it works and I’m sure there will be further discussion about the best application. 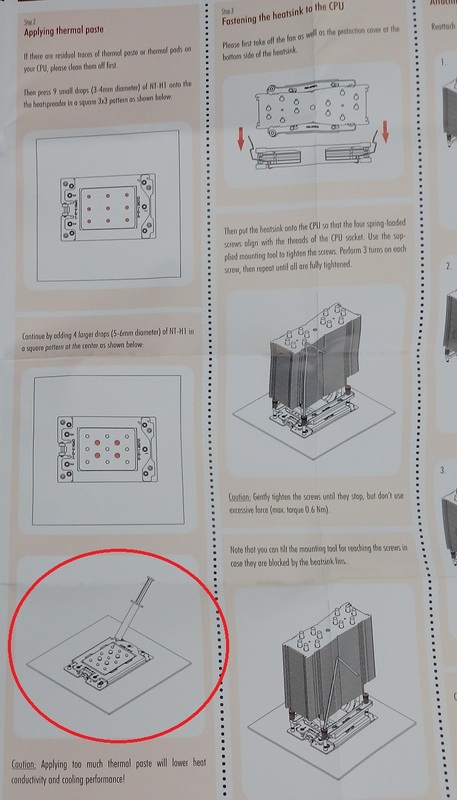 In our testing, we went with the manufacturer’s instruction. 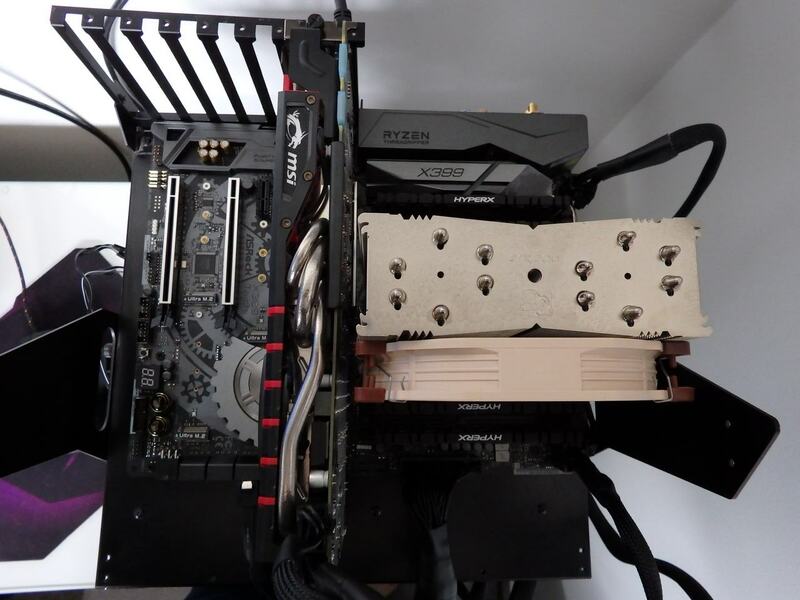 In general use, non-overclocked, the 1950X stayed under 65C without the Noctua NF-A15 fan needing to exceed 1050RPM which is quiet, even on an open test bench. 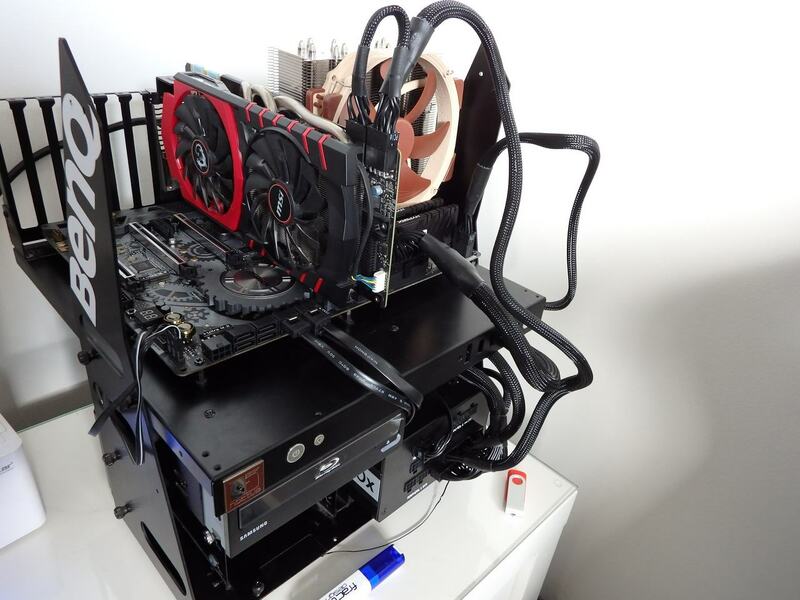 A sustained OCCT run sat the CPU hit 68C with a max boost clock of 4174MHz – this is not usually considered a normal workload but Threadripper is designed to crunch data in an industrial strength way so it’s a good initiator. We did see a maximum core speed in HWMonitor 1.32 of 4178MHz across our testing, demonstrating the XFR function kicking-in throughout the standard testing. 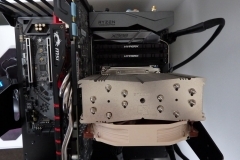 When overclocked to 3.9GHz at 1.38v we saw the Noctua fan running at full speed with temperatures up to 79C in HW Monitor (without the offset). 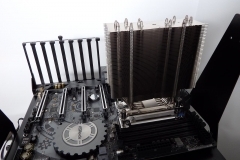 This indicates that it could have been tweaked further but without water cooling and when we considered that this CPU is a ‘loaner’, we backed off. We have little doubt that our 1950X and the Taichi motherboard had more to give and with serious water cooling, we’d have gone for a touch more. The 1950X will boost to 3.6GHz across all cores under stock settings so a boost to 3.9 might not seem like a lot as it’s only 300MHz but when you consider that it is 300MHz x 16 cores or 32 threads and at a constant speed, the boost in compute seems more meaningful. Every CPU is different so remember that just because one review site is able to hit 4.1, another might get stuck at 3.8 or 3.9 doesn’t mean that a chip you purchase will have the same potential. It’s known as the ‘Silicon Lottery’ for a reason. 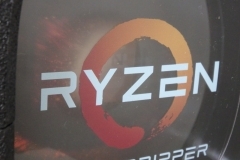 Kudos to AMD for allowing enthusiasts to overclock Threadripper at no extra charge and for providing the handy Ryzen Master utility. 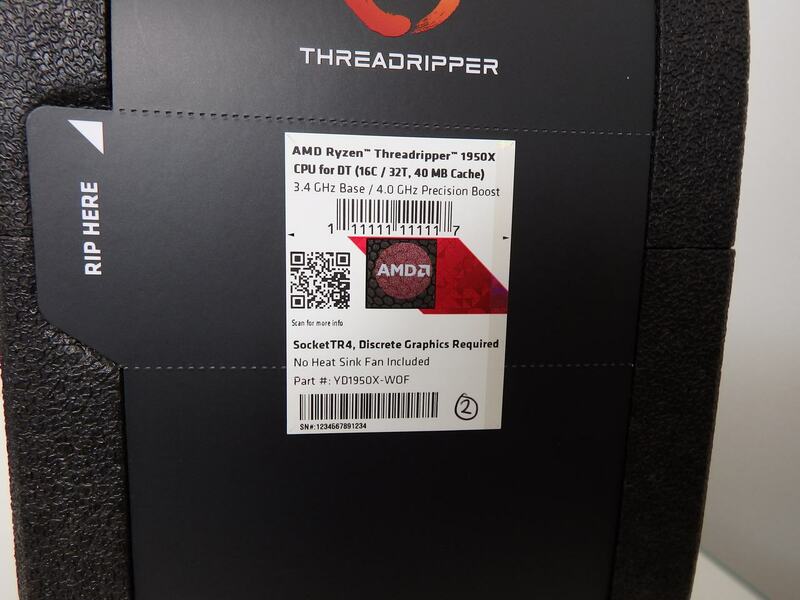 Threadripper 1950X is rated at 180W which is big but so is the power draw of 2 fully kitted out higher end 8 Core / 16 Thread performance PCs with comparable compute. In our testing, the test bench drew 429W under max load and 123W at idle under stock conditions. With the CPU being stressed and the GPU basically idle, we saw a draw of 317W from the wall. One thing to keep in mind is that all the efficiency technology is bypassed when you overclock and as each CPU needs different voltages to sustain an overclock so when overclocking, your performance and power draw may vary significantly from other Threadripper owners. 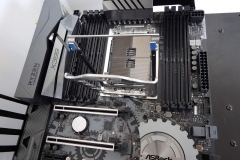 As an enthusiast, I really enjoyed the 1950X and the ASROCK Taichi board as a combination. I didn’t notice any issues when gaming on the CPU, even when running a 20 file transcoding queue in the background over a sustained period of time. Threadripper is excessive for gaming alone but if you want to game while running something big as a background task, the 1950X has you covered. I’ve never seen a single workstation transcode media this fast or complete the Cinebench benchmark with speed so fast that you could easily miss it if you looked away for a moment. Compressing and extracting files from archives/backups on the NVMe drives was also able to occur in the background without impacting game performance. It really is like having a dual CPU system with a standard ATX board and more room for PCIE devices. The 1950X is over $1300. That is not a ‘cheap’ CPU. But when you look at Threadripper’s mission statement, this needs to be placed into perspective. It does it’s job. If you need a workstation that can render engineering drawings faster, crunch large numbers for research quicker or allow this to occur at the same time as another task without bottlenecking a human resource, it could pay off very quickly. As an example, I know a draftsman that needs 2 workstations because the CAD software he uses makes one workstation unusable while it renders a job – and he usually gets urgent unplanned requests with his interrupted workflow. I’d love to see how an enterprise Threadripper based workstation would perform and how many productive/billable hours he might save with the extra compute power available. Given his hourly rate, I’d be surprised if the cost of both CPU and motherboard didn’t take long to break even. Another example is a software developer that I know who does interfacing and data mining. They have a pair of demonstration and scratch/dev environments that involve a mixture of virtualised and physical machines with some servers handling messages and others mining stats for real-time dashboards. 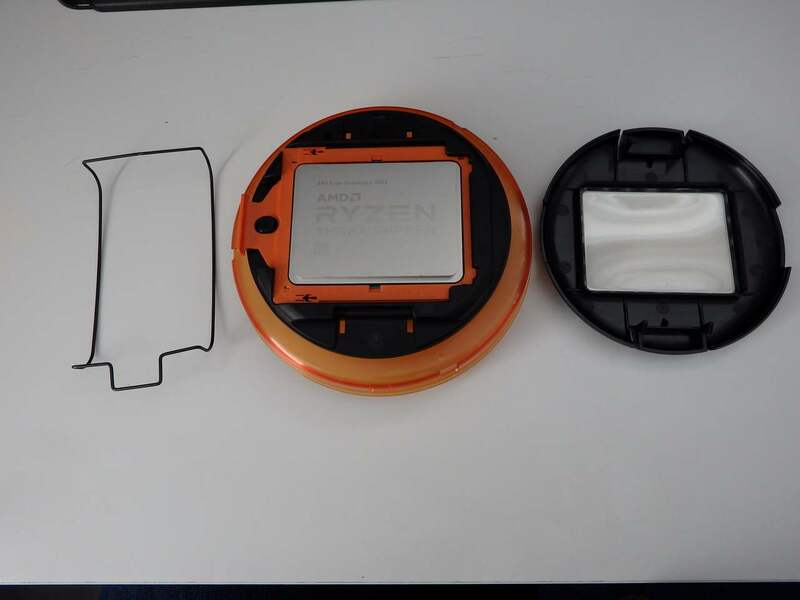 Based on a discussion of their current specifications, I’d be very confident that they could introduce a cost effective solution with AMD’s Threadripper and at the street price above, smaller developers with limited means should be in a position to reduce their hardware footprint and increase productivity. 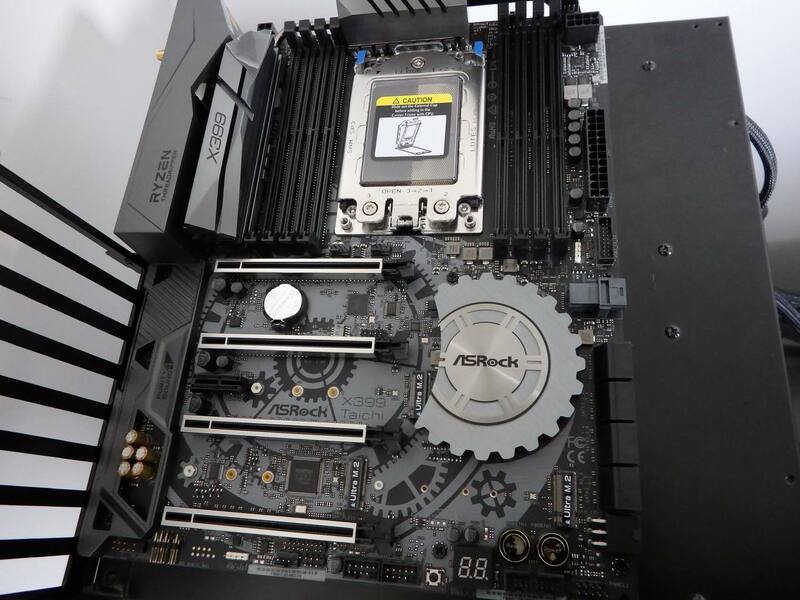 Although Threadripper motherboards start at a higher price point than the Intel X299 platform, the ASROCK X399 Taichi is one of the most affordable options at around $549 and still has some serious bells and whistles. We have a follow-on review of this motherboard to come so watch this space. 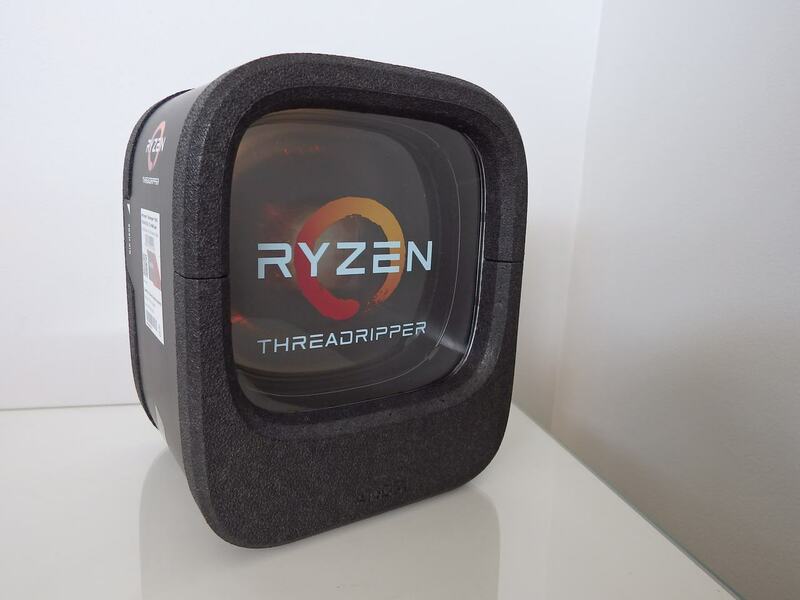 Would I buy Threadripper? To be honest, no – but I’m not the target market AMD is addressing. 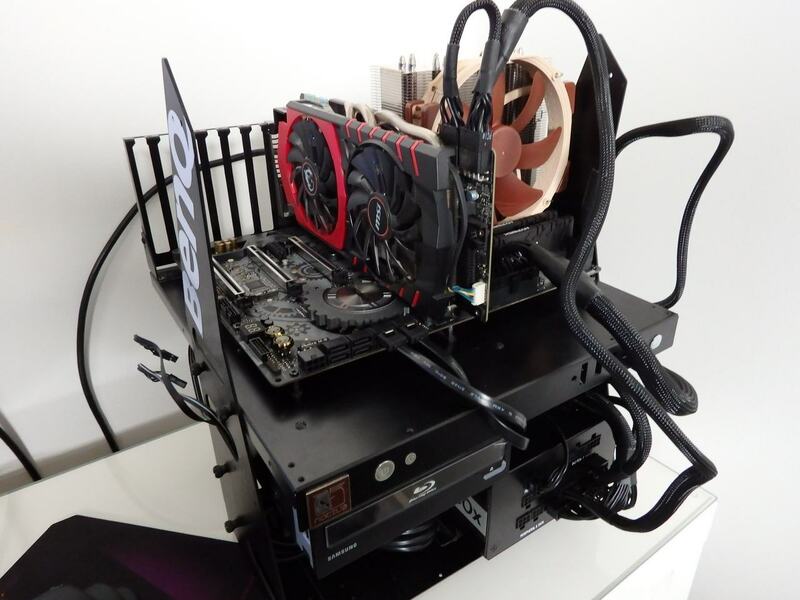 For my needs the Ryzen 1700 – overclocked to a constant 3.9GHz on the MSI X370 Gaming Pro Carbon – is rock solid, meeting my gaming and creative needs with plenty of headroom. For pure gamers, look to 6c/12t or 8c/16t, consider a fully featured B350 or X370 board and tip the extra cash into a high-end GPU/monitor combination. AMD has already looked after you in the previous Ryzen releases. In enterprise IT, I’ve seen dual CPU high-end desktop research workstations that use voice recognition, realtime rendering and large high resolution image processing – usually simultaneously. 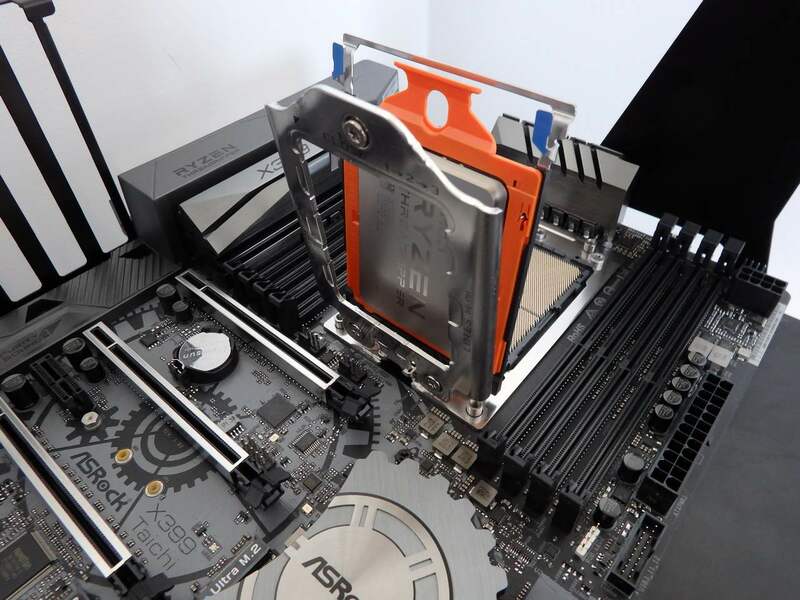 I would be extremely interested to see a Threadripper-based workstation used as a proof of concept in this application and really hope that the prominent OEMs don’t take too much time bringing competitive enterprise grade Threadripper options to market. 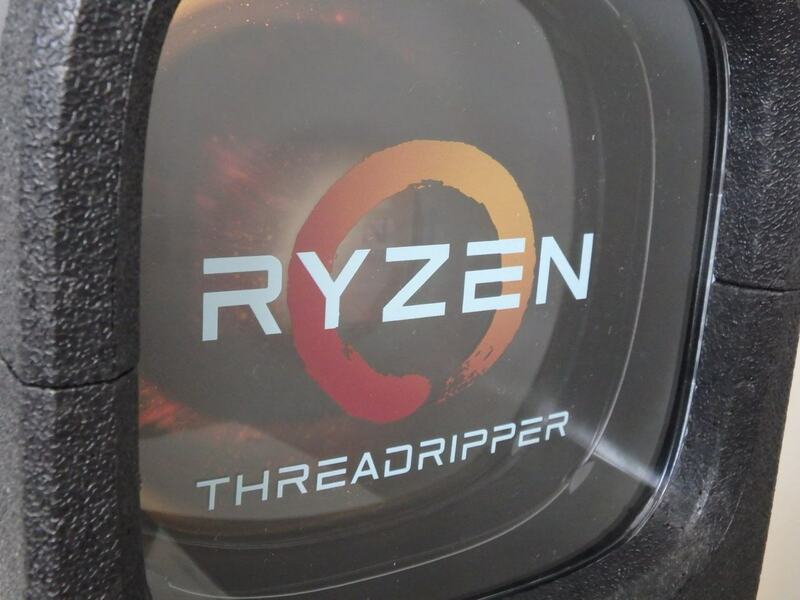 Designers, animators and developers should all take notice of Threadripper and consider the value of each hour spent waiting for a job to complete while their existing ‘high-end’ workstations grind away. Relatively speaking, Threadripper and the x399 boards are good value if you need a lot of power or want to replace an older dual CPU system. Bottom line – For those that wanted more than Ryzen 7, AMD has delivered a compelling option without compromises. Can ‘also’ be used for gaming while you wait for workloads to complete. X399 Motherboards also add to the cost of a High End Desktop when compared to the cheaper Ryzen platforms.